Well I decided to try Windows 8 but I wanted to set it up so I could dual boot to Windows 7 (my version is the home edition). This turned out to be a relatively painless operation. The first thing I had to do was to create a a new disk partition for windows 8. I purchased my copy of windows 8 for about $67. 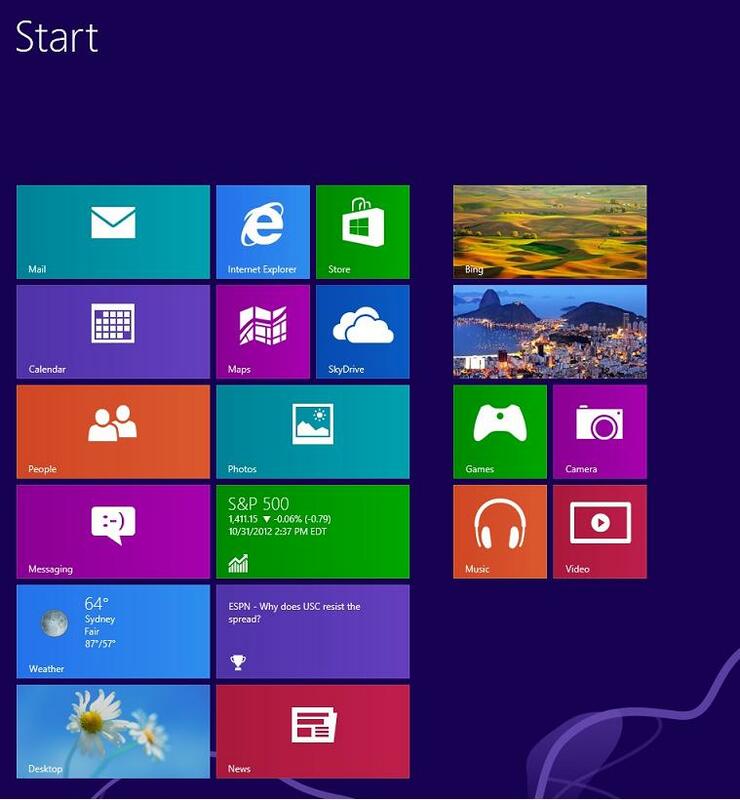 This is the upgrade windows 8 pro version. By the way, this is the full featured edition. This offer is only valid between now and February 1, 2013, afterwhich the price for this version will go up dramatically. 2. I had to supply an email address. colored screens with simple messages - like "Installing Apps", etc. The install completed without a hitch in about 30 minutes. Not too bad. Apparently, this will require some play time to figure out how to do things I was used to. The networking part did work without any problems, ie, all computers on my network were visible without the hassle I experienced with windows 7.